Pets, on average, age five to eight times faster than humans. By age two, most pets have already reached adulthood. At age four, many are entering middle age. By age seven, many dogs, particularly larger breeds, are entering their senior years. Today’s pets are living longer than ever, chances are that many may experience a potentially serious illness during their lifetime. Annual pet health checks can help your local Animalia veterinarian diagnose, treat or even prevent problems before they become life-threatening. These vet appointments are also a great opportunity to ask us about nutrition, behaviour or any other issues. LOOKING FOR PUPPY PRE-SCHOOL or DOG GROOMING? DO YOU CARE FOR A PET CAT? IS IT DESEXED? 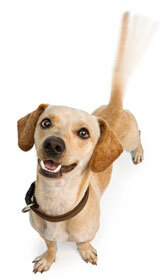 See our Pet Wellbeing Services at Animalia Vet Clinic Gawler Evanston.